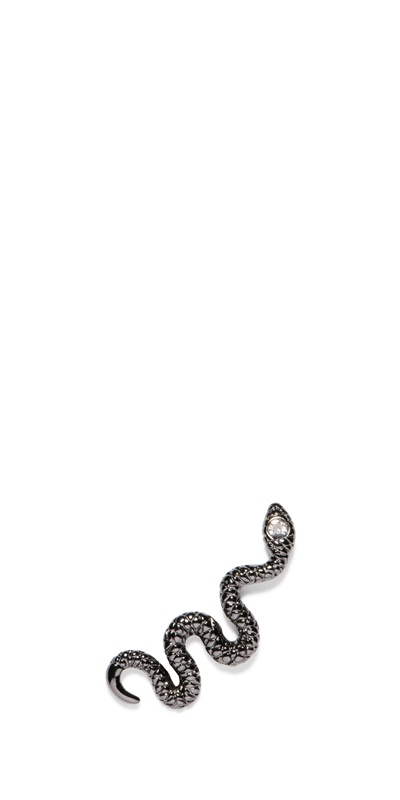 This python ear cuff features a clear stone. Secured with a clip fastening. Hardware: Polished Gunmetal with Glass stone.